Who has the most valuable masks? 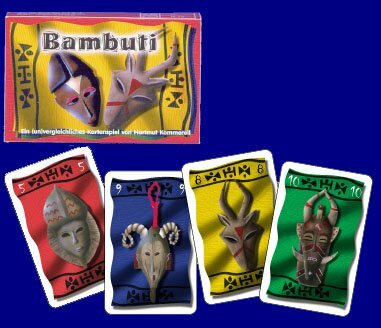 Each year a contest is held in the jungle village of the Bambuti. The villagers compete with their most valuable family heirlooms: large, richly detailed wooden masks. The masks are moved back and forth in order to be in the best position when the jungle drums sound signaling the end of the game.